Have you ever walked into someone's home and instantly felt welcomed, wrapped in a subtle friendly warmth? This is the resonance of color. The influence of color is nowhere more important than in your home. Your home is your shelter, refuge, comfort. Your home provides nourishment for your psyche. It's where you commune with your family and friends. The right colors and color combinations can stimulate and relax your senses, create happy memories. 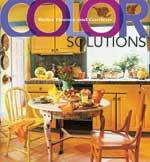 To begin to find your true decorating colors, start with photos in magazines and books. Begin to pay attention to colors that attract you and which you don't care for. 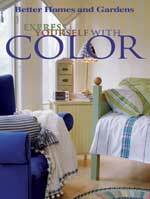 You'll begin to discover that your feelings about color are a deeply personal reflection of your personality. Colors can make you feel energetic or serene, nurtured or adventurous. Color is a vital conveyer of ambience and the key to creating a mood in your home. Want to know what color says about you and how to use color in your home? Click on any color below. Red is passionate and exciting. RedSome like it hot. If you're one of them, you may be attracted to the dynamic color of red. Red is the color of passion and excitement. Red is a hue that is not meant to be ignored. Red is associated with the color of blood and conveys birth, vitality, activity and strength. Clear reds like cherry, poppy, and lollipop, can be used in decorating to create a sense of youth, vitality and energy. The more elegant tones of blue-red like wine, claret and ruby suggest opulence, power and tradition. Warm reds like tomato and vermillion are outgoing and convey warmth. Red has been shown to improve the sense of smell and spark the appetite. It can be a welcome accent in a kitchen or dining room. Traditionally, red has been a color of magic and sorcery. In many cultures, the most important ceremonies, such as entrance into manhood and marriage, are performed in red clothes for good luck. The ancient Greek physicians used to urge men to eat red food and drink red liquid in order to become more sanguine: full-blooded, optimistic, cheerful, confident and passionate. The ancient art of feng shui uses red as an energy-enhancer. Red is often recommended as a color for front doors in order to invite prosperity and happiness into the house. Red as an accent: Red can really glow in small areas like entry halls or passageways. Because of red's ability to attract the eye, it can be wonderful used as a background color in niches, armoires, or the inside of cabinets. If red is your favorite color, you are very self-confident. The wealthiest members of society and achievers or risk-takers tend to like red. People who love red are well-informed and involved, passionate, extroverted, exciting, impulsive, competitive, energetic, daring, optimistic. Red people dislike routine and crave new experiences. Because they are confident and assertive, they can also be domineering and fickle in the pursuit of new adventures. If you dislike red, the excitement and intensity of this color could be too much for you at this point in your life. You may be uncomfortable with the aggressive nature of red. The serenity you crave is best found in calmer colors. Pink is tender-hearted and romantic. Pink is perceived as sweet-tasting, innocent and romantic. It softens the passion of red with purity. Depending on the strength of pink, this color can range from demure, even cloying, to practically as outgoing and passionate as red. 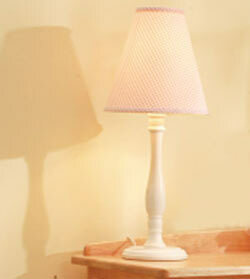 Pink in decorating: Pink provides a radiant glow to many complexions. It is a natural accent in a bedroom or a bathroom. Strong pinks can be a happy accent in the kitchen or family room. If pink is your favorite color, you are tender-hearted, romantic and refined. You are a good friend, upset by violence of any kind. You may be talented, but not overly ambitious. People respond to your warmth and charm, but you don't expose your inner life to everyone. You can be contemplative and cautious. If you dislike pink, you find the innocence and sweetness of pink cloying. You prefer your colors with passion. Yellow is joyful and outgoing. Yellow is universally associated with the sun. Yellow and gold often signified divine love in ancient cultures. Greek and Roman brides and priests wore yellow. Yellow symbolized generosity, nobility, wisdom, and divinity. Yellow is perceived as joyful, outgoing, open and friendly. It corresponds to a gay, light, free feeling. Pale pastel yellows are seen as childlike. Amber yellows are perceived as mellow and warm. Vivid yellows are seen as active, ebullient, enthusiastic and vigorous. Decorating with yellow: Because yellow is associated with cheerfulness, optimism and the sun, it makes a perfect decorating choice in rainy climates or in north-facing rooms or rooms without windows. Yellow draws the eye and becomes brighter with greater saturation. 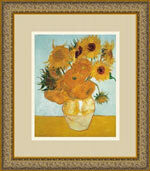 It is an excellent choice to highlight a special piece of furniture, collection or art. Yellow is a natural choice for the kitchen because its golden, buttery and custard tones suggest deliciousness. Yellow is an ideal color to add a friendly warmth to the exterior of your home. 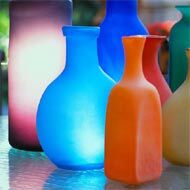 It also can be used to bring the warmth of sunshine into narrow or dark spaces. If yellow is your favorite color: You are luminous and warm, optimistic and full of energy. You tend to be original, imaginative, idealistic, creative, artistic, spiritual and intuitive. You love challenge and have an insatiable curiousity. You tend to be a perfectionist but have an overriding sense of joy. If you dislike yellow, you're practical, a realist and skeptical of new ideas. You prefer to go with the tried-and-true and be certain of your results. You avoid risk-taking to protect yourself from disappointment. Softer shades of orange, like apricot, salmon, and peach are flattering to skin tones. Orange takes its traits from both yellow and red, tempering the passion of red with the sunny disposition of yellow. Orange is a known stimulant to the appetite, which explains the use of the color in fast-food restaurant logos. Some of the more appetizing shades of orange include: peach blossom, peach pink, peach beige, apricot, salmon, salmon rose, shrimp camellia, and coral pink. Decorating with orange: Many decorators claim that peach is the only shade that will go with absolutely any other color. Shades of orange are warm and welcoming and are great in entry areas. To stimulate the appetite, cantaloupe or papaya or apricot work well in the dining room. Strong orange can be a perfect accent in the kitchen. Any area of your home where you want flattering warmth, the softer shades of orange are ideal. If you love orange, you work and play hard and are enthusiastic and adventurous. You are generous, expansive, good-natured and extroverted. You like people and new ideas, but you come across as agreeable rather than aggressive. You can be very successful in business. Orange people aren't always the best mates. They can be fickle, in love with one thing one day and another the next. If you love peach, you have all the tendencies of the orange-lover, but are less assertive about them. If you dislike orange, you may be difficult to get to know. You prefer a few genuine close friends to a large circle of acquaintances. Once you've made a friend, you've made a friend for life. You are turned off by too much partying, hilarity, and flamboyance. Blue is relaxing and enhances quiet and serenity. Blue symbolizes constancy and truth. Blue recedes like the faraway sky. It brings a sense of peace and tranquillity to the spirit. Blue brings with it the promise of heaven and the depth of the sea. Many cultures have used blue as protection against evil forces and as a healing color. Viewing the color blue has a calming effect. Blue reduces blood pressure, heartbeat and respiration slow down. Darker blues carry the message of leadership and authority. Medium and grey-blue appear sincere. Pastel blues appear delicate and ethereal. Electric blues are active and playful, energizing and youthful. Too much blue can be slightly depressing. Decorating with blue: Blue is recommended anywhere you prefer quiet and serenity. Dark blues can be perfect in dens, home offices and libraries where quiet thought is required. Warm blues can be hospitable in dens and family rooms. Pale blues are refreshing in bathrooms, but should be balanced with warm accents to avoid feeling chilled. Blue is a relaxing choice for a bedroom. If blue is your favorite color: You are both trusting and trust-worthy. Although you may appear confident, you can be vulnerable because of your deep sensitivity to the needs of others. You form strong attachments and are deeply hurt if your trust is betrayed. You are harmonious, serene, patient, persevering, even-tempered and reliable. You prefer a close circle of friends to a wide range of acquaintances. You can be a perfectionist because of your highly developed sense of responsibility. If you dislike blue: You are restless and may need a break from the monotony. Perhaps you need to switch jobs or take a long vacation. You yearn for excitement and wish you didn't have to work so hard. Deeper blues may mean melancholy to you. Blues give you the blues. Green can create a natural harmony in your home. 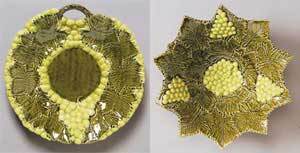 Green harmonizes the passivity of blue with the vibrancy of yellow. It is considered the most restful color to the eye, and of all the colors, green is the one in which the human eye distinguishes the widest range of shades. Decorating with green: Because we can identify so many different shades of green, the color can be at home in virtually every room. In dens and libraries, a deep green provides a hushed and stable atmosphere. 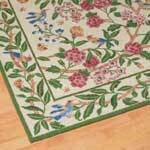 Green's association with prosperity and the color of money will lend a prosperous air to living rooms and entryways. Blue-greens used in the bedroom can create a restful sanctuary, combining the peacefulness of both colors. A spa-like atmosphere can be given to bathrooms with the softer sage greens and blue-greens. Green is a widely-used and attractive color for home exteriors because of its ability to blend with the natural world. If green is your favorite color: You are stable, balanced, caring. Doing the right thing is extremely important to you and you are often a concerned citizen and highly active in the community. You are a caring companion, kind and generous. You are intelligent and attracted to new ideas. Unfortunately, lovers of green tend to be lovers of food, and you have a tendency to be overweight. If you dislike green: You are unconventional and can be a loner. You have a need to be recognized that causes you to avoid joining groups and activities. Purple can be serene in the bedroom. Purple combines the tranquillity of blue with the excitement of red. Purple is associated with non-conformists: artists, performers, designers, mystics all prefer purple. Purple has long been considered to have healing properties and has been associated with royalty and religion. Decorating with purple: Purple is not for everyone but can be used in many of its varied shades as an accent in your home. Purple can be strong in the kitchen as an accent, like in Italian ceramics and majolica. 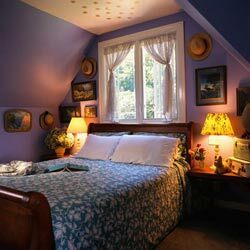 Quieter shades of purple can be serene in the bedroom. A rich, grape tone of purple can be used in the dining room to evoke a sophisticated atmosphere. Purple is especially well-placed in a south-facing room. You may consider the elegance of plum or a subtle grape in the living room. Avoid too much lavender here. Like too much pink, can be cloying in the living room. Aubergine or wine colors can create a cozy comfortable feeling in the den. Any of the paler shades of purple, like lilac and lavender will work well to provide a flower-like freshness in the bathroom. If purple: You are highly creative, enigmatic, spiritual, artistic and unconventional. You are generous and can be charming. It has been said that purple people are easy to live with but hard to know. You tend to protect your deepest inner thoughts. If you dislike purple: You dislike pretense and value honesty and frankness. You may not be particularly artistic, but you can be an astute critic. If you like lavender: You are quick-witted and like to be thought of as "different." Outward appearances are very important to you. You are romantic and sentimental. While you may appreciate creativity, you aren't particularly artistic. If you dislike lavender: You appreciate directness and honesty. You live in the present and avoid nostalgia. Taupe and beige are warm and classic colors. 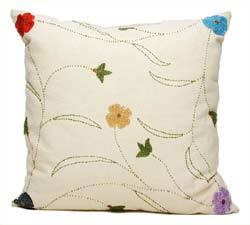 Slipcovers and pillows are easy ways to change your color moods. 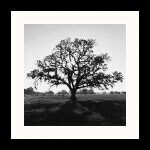 Brown represents the nurturing, life-sustaining qualities of the earth. It is the color of a stable source of security, comfort and normalcy. Brown is considered a classic shade. Even people who have a dislike for the color brown are attracted the richness of natural wood tones. First cousin to brown is beige. Beige is a warm color and brings to mind the glowing warmth of a sandy beach or wicker on a sun porch. Taupe is also related to brown, with an inherent warmth because it is considered to be brownish grey or greyish brown. Taupe and beige are considered neutrals and are understated and timeless. Decorating with brown: Brown, because of its association with wood colors, can be used in any room. 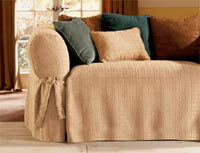 In the living room, brown will impart warmth and refinement in any shade from richest mahogany to light blonde pine. Darkened brown tones add coziness to studies, dens and libraries. Rich jewel tones like amethyst, garnet and emerald will show off well as accents against a brown background. Kitchens, dining rooms, hallways and entryways all receive welcome warmth and lusciousness from cream. Taupe is an unexpected neutral which can be dramatic in a powder room. Taupe is an excellent background for rich accents like garnet and gold. 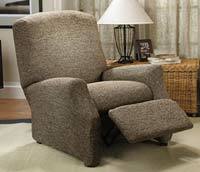 If you like brown: You love harmony, home, simplicity, comfort and quality. You have a steady, reliable character with a keen sense of duty and responsibility. You are a loyal friend, receptive, understanding. You tend to be intolerant of people who rush to inconsidered speech or action. You may find it difficult to be carefree, but have a strong desire to change situations that appear unjust. Family life is very important to you. If you dislike brown: You are a risk-taker and an adventurer. Routine bores you. You are witty, impetuous, generous and a free-spirit. You are not a crunchy-granola, back-to-the-earth type. Like you, your friends and lovers must be bright and entertaining. Black is sophisticated and artistic. Black ranges from sinister to sophisticated. It can be arty or malevolent. It is appropriate in dress for funerals and formals. It is the symbol of countercultures from Bohemians to bikers. Decorating with black: Black is a color that should definitely be used in moderation. Too much black is oppressive. On floors, black shows every piece of dust. As an accessory, black can be elegant in towels or leather sofas. When used in contrast to another color, black can be very dramatic, as in a granite counter top paired with blonde wood cabinets in the kitchen. Used outdoors, black trim on a white house is a statement of power. Black and white together is the definitive pairing of the balance of opposites. In the home, too much of this high-contrast combination can be numbing unless another color is introduced. Fortunately, against the minimalism of these two colors, even a little color stands out in bright relief. Consider yellow towels in the bathroom, or a brilliant Georgia O'Keeffe poppy print on the wall of the living room. Suddenly, the room sings. If black is your favorite color: Cleverness, personal security, and prestige are important to you. You may be conventional, conservative or worldly. If you dislike black: Black may have symbolic references for you: a bottomless pit, death. You are not impressed by the super-sophisticated. You like real people. Grey works with every décor. You can buy covers for your furniture to indulge in your favorite colors. Grey is related to silver as the color yellow is to gold. It is a color of calmness and serenity. It conveys a cool elegance and is a symbol of introspection. It ranges from solid grey, representing strength, to a softer grey, which becomes more innocent and fragile. Decorating with grey: Designers love grey because there is always a tint, tone or shade that will work with any color. Grey can also be an antidote to decorating mistakes. If you've purchased an extravagantly loud sofa, you can play it off grey accessories and the colors will soften. Grey is a serious color and is best avoided in rooms that are playful, like family rooms and children's rooms. Masculine dens or home offices will welcome the sophisticated coolness of grey. If grey is your favorite color: You crave contentment rather than excitement. You are practical, calm, hard-working and do not like to attract attention. Your home is your refuge from the hectic world. You are cool, conservative, reliable. If you dislike grey: You dislike neutrality. You flee from boredom. You would rather be right or wrong but never indifferent. You seek a richer, fuller life and you may pursue one interest after the other. Creamy white is serene and pure. White is pure, unsullied, divine. It represents heavenly purity, joy and truth. The Egyptians referred to white as "a lady of strength". White can be innocent, like a christening dress or a bride. It can be fragile, delicate and refined. At the opposite end of the scale, white can be sterile, empty and cold. Decorating with white: Often white is the color of choice for every room in the house. Most often, this is because white is seen as the perfect neutral and safe. It is good to keep in mind, though, that pure white will jump out at you like any other bright color, and add to this the potential for glare from a window and white can give you a headache. Better choices for white range from slightly off-white to creamy. In the home, white is perfect for trim in almost every room because it lends a crisp finishing touch. It also works well on the ceiling because it enhances reflected light. Kitchens are a favorite place to use white because the purity of the color adds serenity and a look of cleanliness to a place where counters can be jumbled with food and colorful dishes and towels. If you love white: You are a bit of a perfectionist and self-reliant. You are neat in your clothing and keep a tidy home. If you dislike white: You are more interested in things that are a bit off-center or quirky than things that are perfectly orderly. You are easy to be with and not obsessed with order. Site design, text and images © Copyright 2004 - Goldensight, Inc. All rights reserved.